In 2006 this website appeared. The Inspire Discovery Centre encouraged visitors to: Explore our website to find out more about what you can do at Inspire, how you can organise group visits and parties, special events we hold and much, much more. What we can't tell you is just how much fun it'll be - that you'll have to find out for yourselves! We hope you enjoy looking round the site, and look forward to seeing you soon! We are sorry to announce that due to factors beyond our control Inspire Discovery Centre is now closed. Inspire Discovery Centre will shut its doors at Norwich's St Michael's Church on 28 March. Staff at the centre knew that work on the tower had to done but have only found out this week the extent of the renovation. Inspire said it will continue to run its outreach work and science cafe events while a new site is found. The renovation of the church in Oak Street could take up to a year. Staff say they are going to take the opportunity to find more suitable premises, which can offer car parking facilities. Manager Michelle Fearn said: "We are absolutely devastated to have to let down our visitors and everyone who has supported us. "We will be fighting every step of the way to find new premises and reopen as soon as possible." Thank you to everyone that has visited the centre over the last 15 years, we appreciate your loyalty and support and will hopefully see you all soon! Content is from the site's archived pages and other putside sources. Take a nostalgic look back at the Inspire Discovery Center. An aside: On a recent trip to Maui, I took my kids to the Maui Ocean Center to foster a better understanding, wonder, and respect for Hawaii’s marine life. The center offers one of the largest collections of live Pacific corals in the world, 20 daily presentations by marine naturalists, outdoor tide pools, and a 750,000-gallon Open Ocean exhibit with a 240-degree view acrylic tunnel (which was awesome). Watching the excitement of my children as they went from one exhibit to another, reminded me of myself when my grandparents took me to the Inspire Discovery Centre. Fortunately the island of Maui is not all that large and the traveling distance from our Kaanapali condo rental to the Maui Ocean Center in Ma‘alaea was about a half hour depending upon traffic and the time of day. We made the trip early one morning, ate lunch at the Center and then went to the Maui Tropical Plantation for the afternoon. It was certainly a full day for us, but the kids still wanted to spend some "water" time playing on the incredible beach in front of the Kaanapali Alii resort where we were staying. Talk about an abundance of energy. By the time the sun was setting we were all out on our rental's lanai eating dinner and enjoying the magnificent display of pink, purple, and golds reflecting off the clouds. Like the Inspire Discovery Centre, the Maui Ocean Center was geared towards inspiring young minds to explore and discover the wonders of science and the natural world around us. Housed in one of Norwich's finest old medieval churches, inspire is a different kind of museum, one where children and adults can explore science through fun hands-on activities. Inspire has just undergone a £180000 refit, including a big new exhibition and an accessible funky look. A visit to Inspire stimulates curiosity and interest in science and technology, and helps children build a fund of relevant experience that can be reflected upon and followed up by further experimentation in the classroom. As well as exploring areas of the science curriculum, Inspire offers a wealth of opportunities for developing skills in literacy, numeracy, creative writing and social skills. You can find us at St Michael's Church, Oak Street, Norwich (off Duke Street, at the corner of Oak Street & Colegate). 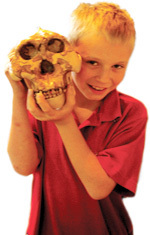 Inspire is part of the Science Projects Federation, an educational charity dedicated to the exploration of science through hands-on techniques. Over the last 10 years the Science Projects name has become well known throughout the world for its travelling science centre, The Discovery Dome. Science Projects has also created the ScienceWorks schools' programme and has built hands-on exhibits for many other science centres. 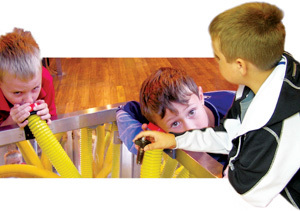 There are over 30 permanent interactive activities at Inspire based on five themes. As well as ever changing temporary exhibitions. All involve practical activity and allow for open-ended exploration. This is all about the way things move, you can try experiments with gravity, and even try riding a gyroscope. Why does the beach ball stay in the air? Can you get the best time on the ball race? Here inside our special tent you can experiment with light, see stress and heat revealed, shake hands with yourself and make shadows. Explore colour, reflection and fibre optics. This is concerned with the way we interpret the world around us. Just how reliable are your senses? You can test our hearing, your balance and get a close up look at your own eyeball. Are you willing to take a risk? These exhibits explore mathematical concepts in an exciting and accessible way. Try out the probability machine, place a bet on the roulette wheel and see how 'Chaos theory' works with a 2 armed pendulum. These exhibits are designed to reflect the beautiful church building that is home to Inspire. How well will you fare as a medieval craftsman? Can you build a bridge? Have a try and find out! The final space at Inspire is given over to temporary exhibitions which change throughout the year. This exhibition is on loan from the Centre For Life in Newcastle. The exhibition includes a selection of interactive computer programs which let you make decisions on where to put landfills and show you what happens to your rubbish. Please revisit this page in the future to read about special events that Inspire Outreach will be attending. Timeline launch with special guest Jon Tickle from Sky TV. INSPIRE STILL NEEDS YOUR SUPPORT! Telling everyone you know about us! We can cater for school visits, group visits (Cubs, Rainbows, youth clubs, young carers etc), home educators, families, children's birthday parties and adult corporate events. Speak to us with any ideas and we will try to help out. If you work for a company or own your own company, you could sponsor an exhibit or special event. Speak to us for further information. Holding a fundraising event for Inspire would be a great way to raise some money. Possible ideas could be: a bring and buy sale, sponsored walks, dinner and dance evenings or a science quiz night. Watch this space for details of special events happening in 2009. Inspire has a packed programme of events that promote science; making it fun and accessible to all. We shall be running events for Darwin200 and the year of Astronomy and in spring we shall be starting regular science storytelling sessions as well as the 'Super Science Sunday'; a day of experimenting and exploring a scientific theme for children. Further details will be placed on this page before the event. In February 2006, Inspire was lucky enough to receive lottery funding for a facelift. Helping us celebrate this were Jason Shackell from Norwich City Football Club and Jon Tickle from Sky TV's Brainiac. The event was well attended with special guests including former Norwich City goalkeeper Bryan Gunn and children from a local school. We are very grateful to our celebrities and to everybody who came along and supported us. Half-hour demonstration shows are closely linked to the national curriculum and use a mix of experiments and audience participation to explore scientific ideas and phenomena, with the emphasis on making science accessible and fun. Any of the shows here can be performed in your school - see the outreach programme for details. Find out about how your body works from the outside in. Look at muscles, bones and what's in your stomach. Find out how your senses work and how we can play tricks on them. See the floating sausage, feel the dead finger and try the taste test. A close look at the many slimy, stinky, crusty things that come out of our bodies. Find out about Newton's laws of motion with a load of balls and flying pigs. Explore pitch and volume with our home-made instruments. See the broomstick bass and the cardboard didgeridoo. You decide what happens in the random show. Stunt eggs, balancing forks and how to climb through a postcard. Inspire can take booking for school visits between 10.00 and 5.00 every day. Visits outside those times can be made by special arrangement. We do not specify a particular age group, but most groups are from Key Stages 1 and 2. Inspire can take up to 100 children at any one time, and you can bring as many accompanying adults as you wish, free of charge. We recommend a minimum of one adult to five children for primary schools. Visit organisers are encouraged to make a free advance visit to inspire to look around and discuss any particular reqirements - please phone for your free ticket. Risk assessment forms are available to download in the Teachers' Resources section. Allow two hours to explore the exhibits, add 30 minutes if you book a show or workshop, and don't forget to allow time for lunch and for visiting the gift shop. 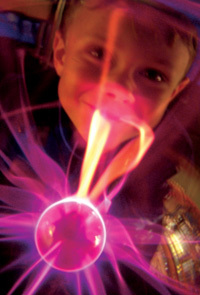 This science week Inspire is holding special sessions for school groups. During the day, which lasts from 10am to 2pm, children take part in different stations including the planetarium show, under pressure rocket challenge and the alien egg drop challenge (exact activities subject to change). There are 100 places per day, places cost £5.50 per child (reduced from £6.90). If you are interested in booking a class onto one of the days please get in touch on 01603 612612. More details will availabale soon. With the emphasis on practical activity, these workshops provide a challenge for students and encourage self-directed experimentation. They are aimed at Key Stage 2 students, last 30-40 minutes, and can accommodate up to 20 pupils in each session. You may book as many sessions as you wish, but please make sure you allow enough time in your visit for everyone to participate. How can you look around corners without being seen? By using a periscope. Each student will make a periscope to take home with them. Create a work of art using the chemical reaction of an Alka-seltzer paint rocket. Build a balloon-powered buggy to keep. Can you adapt the basic design to reduce resistance and friction? Who will win the race? In this challenge workshop, students work in small groups to construct a marble run and measure the time taken for the ball to reach the end. The slowest marble wins. Explore how a 'polymer' substance acts and how it differs from a solid, liquid or gas by making slime. Inspire has a fantastic gift shop with many pocket money items. Åï¿½2 - Åï¿½3 per child will allow them to make an enjoyable shop visit. We have a space where schools can eat packed lunch, or you may picnic on the lawn in fine weather. We also have a small cafe serving tea, coffee, cold drinks and a selection of snacks and sweets. As well as visits to the centre, Inspire can bring science to life in your school through our outreach programme. You may book any of our science shows to be performed, and all you need to provide is a wipe-clean table and access to a plug socket. The planetarium needs to be located in a school hall or gym. All shows last approximately 30 minutes, and can accommodate 100 children (except the stardome, which can accommodate 30 students per performance). Schools requiring different shows in one booking must ensure there is a half hour available between topics for equipment changeover. We will only travel outside Zone 3 for block bookings of several days. *Due to technical difficulties, the prices shown on the map above are incorrect. For the correct prices, please refer to those shown below. 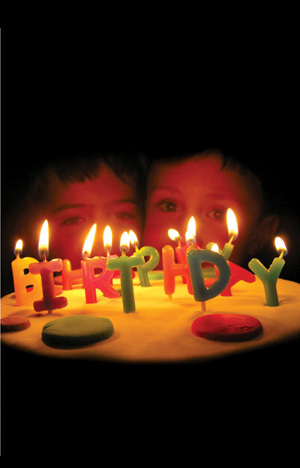 Inspire can come to your venue to carry out birthday parties, please email inspireoutreach@yahoo.co.uk to discuss feasibility. To find out more about the Science Shows. Make eye-catching decorations for windows. Interested in hearing about science ideas, but don't fancy attending a public lecture? Want to know more, but feel you don't know enough about it all to ask questions? Come and hear a brief presentation, from a diverse range of people & subjects, join in the chat after & ask as many daft questions as you like - all for the price of a coffee. Science Café is an international movement to promote the informal discussion of science in relaxed café settings, where everybody is welcome and admission is free. Inspire hosts the Norwich Science Café throughout the year at 7.30pm in The Maddermarket Theatre Bar, generally on a Wednesday (but sometimes not). Check this website for forthcoming events or alexatinspire@yahoo.co.uk to be put on the Café e-mail listing - please quote Science Café Listing in the title. earthquakes generate tsunamis, and what controls the behaviour of the wave. The science café gives the general public a chance to hear directly from the scientists and discuss topics which affect all of us whether we realise it or not. Dr Mark Williams is the head of the Gastrointestinal Research Laboratory at UEA. The research team are focussed on understanding the role of stem cells in ageing and gastrointestinal conditions such as inflammatory bowel disease and cancer. The use of stem cells in biomedical research and medicine features prominently in newspaper headlines and on television screens almost every week. Intense controversy surrounds stem cell applications from both scientific and ethical perspectives. In such a rapidly advancing field, it can be difficult to keep pace with stem cell research developments and maintain an informed point of view. The aim of this talk is to provide a clear overview of stem cell science. The different types of stem cells will be defined and an insight into state-of-the-art stem cell research will be gained. By using a number of case studies, some of the most recent advances in stem cell research and their medical applications will be explained. Examples will include the creation of embryonic stem cells from adult skin, gene therapy for blood stem cells to treat anaemia, generation of a donor wind-pipe for life-saving transplantation, the prospect of replacing degenerative retinal cells with embryonic stem cells to cure blindness, and targeting cancer stem cells to prevent recurrence of tumours. Inspire Discovery Centre’s monthly science café entitled ‘Can eating chocolate really be good for my health?’ will be presented by Dr Paul Kroon on September 15th at 7.30pm at the Maddermarket Theatre Bar. The event is completely free with absolutely no need to book. Have you heard that chocolate might be good for you? Many have heard of ‘superfoods’ and have read that there are beneficial ‘antioxidants’ in some foods such as broccoli, water cress, pomegranate, various berries and tea. These sound healthier than chocolate, but what is the evidence behind health claims that are made by those in the agri-food industries, the media, and indeed scientists? Should you believe the newspaper article proclaiming the benefits of Acai berries or the manufacturer’s tea packaging asserting the benefits of tea antioxidants. In this Science Café Paul will present data about the types of claims that are made, and raise the question as to the evidence supporting those claims. He will illustrate the different types of studies that are used by scientists to generate evidence of health benefit. He will also indicate why research that seeks to prove whether or not a particular food is good for health, or not, is so complex and difficult. Dr Paul Kroon leads a research group at Norwich’s Institute of Food Research. Paul’s group are undertaking research to better understand how polyphenols in the foods we eat interact with our bodies and provide protection against diseases such as cardiovascular diseases. He has published more than 90 scientific papers, and frequently presents his research at international conferences. This month’s science cafe is part of the Norfolk Food Festival, for more information about the cafe please visit www.inspirediscoverycentre.com or for more information about the food festival visit www.norfolkfoodfestival.co.uk. Life On Mars with Steven Cutts, author of Viking Village. Steve will be discussing what we know about Mars and how we learnt it. Is there life on Mars and if there is what might it be like? What would it be like if we could ever travel to the planet in person and how might our journey there change us? There will be a presentation with over 50 colour pictures as well as a chance to discuss the talk and any other points you might have about Mars or space exploration. This month's talk is a little bit different, there are two speakers talking from two different angles this cafe. The cafe will start off with some general information about some scientific techniques employed in archaeology today and how they are used. Natasha Harlow from Dragon Hall will then talk about the archaeology of Dragon hall and talk from personal experience of the work that has gone on at the site giving a more personal approach to the talk to give real insight. The talk hopes to raise discussion as to whether archaeology should be considered a science or whether it is a discipline in its' own right. Also there is the question of how far we should take investigations to get answers and how reliable the science behind the methods really is. This month’s talk is entitled ‘Why GM Crops?’ Jonathan will be discussing why he believes GM to be an indispensable tool in our toolbox to cope with challenges to food production posed by water shortages, energy costs, limited land for agriculture, and climate change. Jonathan has worked with GM plants for 27 years. There will be comments on most GM technologies, while emphasising the work of Jonathan and his colleagues, at the Sainsbury lab at the JIC site in Norwich, on plant disease and disease resistance. In particular, the talk will focus on GM approaches to reducing the problem of potato late blight caused by the fungus-like organism Phytophthora infestans, which results in estimated annual losses of £3.5B worldwide and costs ~£60M in the UK in fungicide applications alone. The science café gives the general public a chance to hear directly from the scientists and discuss topics which affect all of us whether we realise it or not. There will be a presentation followed by the opportunity to discuss and debate what has been heard and ask the questions you never normally get the chance to ask. "Warming of the climate system is unequivocal" - this strong statement stems from decades of observations and research by thousands of scientists around the world. Can we really be so sure? What is the warming caused by? And how warm will it get? These are all important questions, which will be presented and discussed at the cafe. Corinne Le Quere is Professor of Environmental Sciences at the University of East Anglia and researcher at the British Antarctic Survey. She is a physicist by training, and now conducts research on the interactions between climate change and the marine carbon cycle. She recently led a team that uncovered the weakening of the Southern Ocean CO2 sink in response to human-induced climate change. Inspire Discovery Centre’s monthly science café will be presented by Dr Anastasia Sobolewski from the Institute of Food Research on March 17th at 7.30pm at the Maddermarket Theatre Bar. The event is completely free with absolutely no need to book. National Science Week starts on March 12th and to tie in the nationwide event Inspire Discovery Centre is hosting a special café presented by Dr Anastasia Sobolewski. The science café gives the general public a chance to hear directly from the scientists and discuss topics which affect all of us whether we realise it or not. There will be a presentation followed by the opportunity to discuss and debate what has been heard and ask the questions you never normally get the chance to ask. This month’s talk is entitled ‘What is the role of basic scientific research?’ Clinical trials are often in the news and although the general population is generally well informed regarding the process of human clinical trials, the journey new drugs take before they get to this stage is relatively unknown. Many of the drugs that get to trial stages began their journey many years ago in academic institutions or within companies conducting basic research. A huge amount of time, effort and money is involved in this research before it ever gets close to trial stages. This café will introduce the techniques and approaches used in basic research giving you a chance to see where your drugs come from. There will be a discussion about the impact of this basic research and the relevance on future drug treatments. To coincide with the launch of the Inspire Discovery Centre Writing Competition there is going to be a special science cafe in January with a bit of a twist. The science cafe gives the public the chance to come face to face with scientists who will talk to the group about current science issues and gives everyone the chance to debate the subject. This month however the science cafe is a bit different, the session is a chance for the adults to get an insight into writing about science and writing fiction. There will be a special introductory talk by established writer and journalist Hugh Aldersey-Williams, co-author of Panicology and author of Findings, who will give an insight into writing about current real-life science issues. After the talk the session will turn to fiction with special workshop exercises to help get into the writer’s frame of mind. The exercises will be fun games and exercises to help with characterisation and plot forming. The event is free and there is no need to book. Everyone is welcome whether planning on entering the writing competition or not. The event is geared to let everyone have fun and have a go at writing, no-one will be forced to share their work with the group or expected to write a masterpiece. So if you want to figure out how Queen Victoria might react to an alien invasion or how Boudica might fare if sent into space, come along and have a go. Contact Alex at Inspire on 01603 612612 for more information. The adult category for the writing competition closes on April 26th at 12pm, please see the Inspire website for more information. Personalised Medicine: drugs tailored just for you and your illness. This is the promise of Personalised Medicine, or at least this is the perception generated in the media. So why does NICE (National Institute for Clinical Excellence) seem so reluctant to allow these drugs to be allocated to those who need them most? Recent controversy over the breast cancer drug Herceptin has generated public feelings of unfairness and discrimination, but what is the true story? A current UEA project aims to address the problem by examining ways information about these issues could be provided effectively. The scientists involved hope that engaging in conversation with a public audience will help them in this work. University Hospital consultant Dr Mark Wilkinson will be able to illuminate much of the confusion surrounding Personalised Medicine, and all three want to hear views and thoughts directly from the public. Science Café is the ideal opportunity for such a discussion with informed scientists, who want to hear from us as much as we want to hear from them, so come and contribute over a relaxing drink. Science Café is the ideal opportunity for such a discussion with informed scientists, who want to hear from us as much as we want to hear from them, so come and contribute over a relaxing drink.